Sulbha Arya, best remembered for her role of Kantaben in the movie Kal Ho Na Ho, currently seen on Ghar Ki Baat Hai as Radhika’s mausi. Check out the most updated and latest information about Sulbha Arya's on the Internet.We have 3 videos of Sulbha Arya including interviews, events, or public appearances.Sulbha Arya has over 9 Fans registered on India-Forums.com. 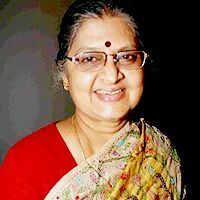 We have 22 Television News articles related to Sulbha Arya.Do share your criticism, comments and feedback for the Actor on Sulbha Arya's comments page. We have over 1 Photos of Sulbha Arya to view and download including Sulbha Arya's Wallpapers. U r amazing in BeguSarai .. really love ur acting specially ur scenes with Shweta tiwari !